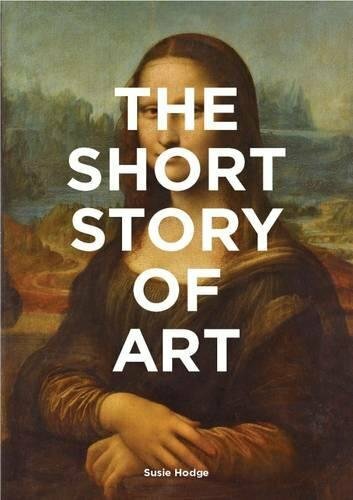 The Short Story of Art: A Pocket Guide to Key Movements, Works, Themes and Techniques in Art is a brief glimpse at a handful of the more well-known phases of artistic evolution. The word story in the title is a bit of a misnomer, there being no narrative to speak of. A more descriptive word would be history, which is exactly what is delivered: a short guide to the history of art. Susie Hodge has culled through hundreds of art movements to highlight and present 36 that illustrate transitions of art, its ideas, representations, characteristics, and production from Prehistoric times up to the dynamic shifts of the 1960s and ’70s. As complex as art history is, this book is a welcome, succinct introduction to some classic Western masters. Each section of the book is defined quite clearly. Movements: “are names given to certain styles of art that are made at particular times by artists who share such things as artistic ideals, styles and methods or approaches.” The Works: covers, “some of the most innovative and groundbreaking works of art ever made.” Themes: “messages about life, society or human nature, and are usually implied rather than explicitly stated.” And Techniques: an explanation of the development of tools and methods artists have employed over the centuries from charcoal drawing to etching to the lost-wax method of sculpting. Seeking to know more, the reader can then follow the impeccably organized cross-references at the bottom of each page. One could potentially be led back to the Dutch Golden Age (1585–1702) in the Movements section to see Vermeer listed among Rembrandt, Frans Hals, and Harmen Steenwyck in an era when wealthy merchants scrambled to acquire paintings of all sorts from still lifes to landscapes in order to flaunt their economic status. Or one could jump forward to the Portraiture Theme, or to the Oil on Canvas or Chiaroscuro Techniques. Easy navigation allows the reader to follow a train of thought or an area of interest without getting lost. More than likely, the reader will be sparked by the surface information presented here and will want to move on to more in-depth sources. And this is exactly the purpose of this inviting and engaging project. It is a well-presented lure into the potentially overwhelming world of art history.